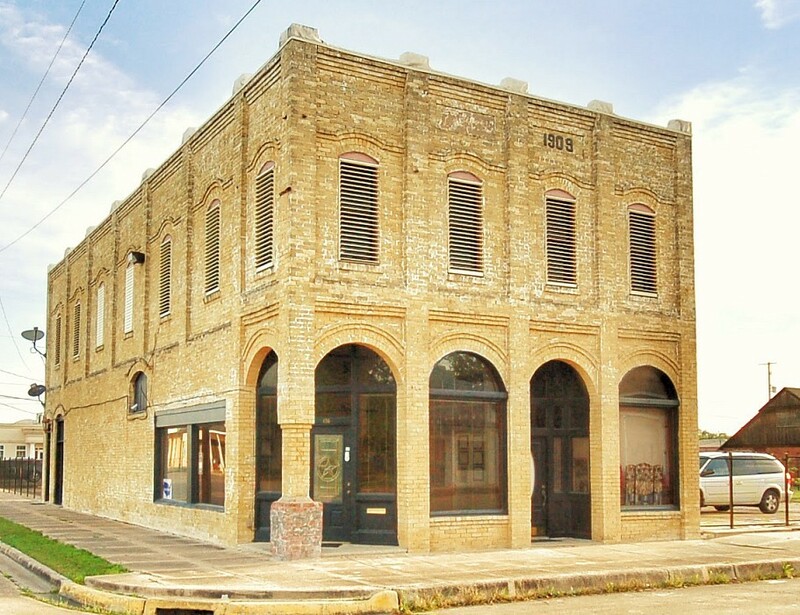 The historic W. C. Williams Building, built in 1909, will officially be recognized as a Recorded Texas Historic Landmark (RTHL) during a ceremony scheduled to begin at 10:00 AM on July 30, 2016 at the building location, 456 Commerce Street in Palacios, TX. The public is invited and a tour of the structure will follow the dedication. 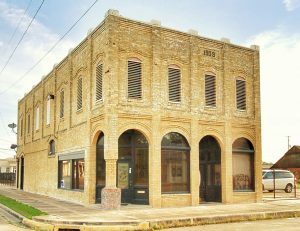 The building has been a cornerstone and anchor of the commercial and cultural life of Palacios and Matagorda County, Texas for 107 years. The ceremony is sponsored by the Matagorda County Historical Commission (MCHC), and will be attended by members of the commission, including Ona Lea Pierce, Chairman, and David Holubec, County Marker Chairman. Matagorda County Judge Nate McDonald, Palacios Mayor Glenn Smith, Pam Oliver, Executive Director of the Palacios Chamber of Commerce and Rev. Eric Young, Pastor of Agape Family Outreach Church, will also take part in the ceremony. As an additional bonus, representatives of the University of North Texas (UNT) Library System and the UNT Digital Projects Unit will also be present. The UNT Digital Projects Unit recently completed a scanning project of the Palacios Beacon newspaper back to 1911. The Beacon project and the UNT sponsored Portal to Texas History provided much of the historic research leading to the Williams Building RTHL designation. The building was built by W. C. “Billy” Williams, a childhood friend of well-known western author, Charles Angelo Siringo (1855-1928). 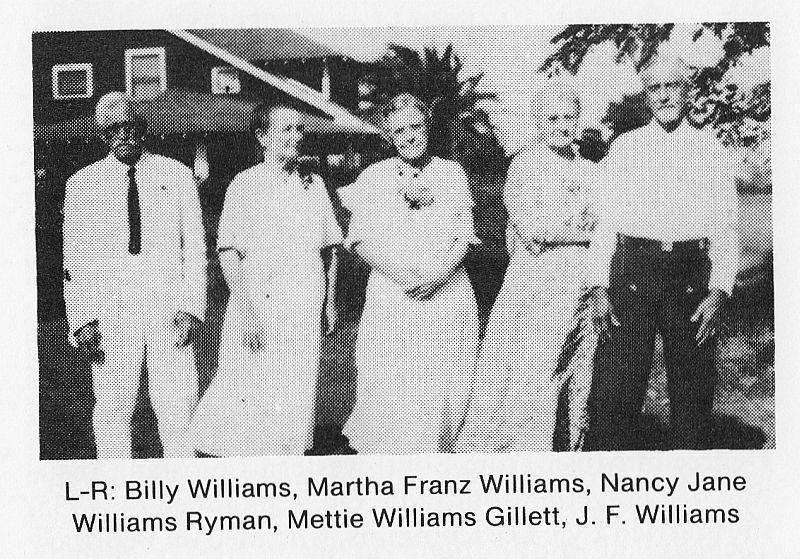 Siringo mentions several references to W. C. Williams, whose nickname was Billy, his wife, Martha Alice Franz Williams (1860 – 1952), and his father, John Aaron Williams (1816 – 1865), in his book, A Texas Cowboy or Fifteen Years on the Hurricane Deck of a Spanish Pony (1886). Billy Williams and Charlie Siringo were born and grew up on Matagorda Island in a section called Dutch Settlement (German Settlement). As they grew older, both young men remained infatuated with their childhood friend, Martha (Martha Alice Franz Williams (1860 – 1952). As it turned out, Billy got the girl and Charlie got the cowboy and Pinkerton detective career. Over the years the building has hosted various businesses including Palacios Hardware, Traylor Hardware, Golden Rule Grocery, Price Cash Hardware, Dr. Joseph Wagner, Lawson Hardware, a Vocational Training Program for the Palacios ISD, Palacios Area Fund, Lacey Lowry CPA, as well as a private residence. It has been 12 years since the last Recorded Texas Historic Landmark (RTHL) Marker was dedicated in Palacios, TX. More information on the Williams Building history and the restoration is available at www.williamsbuildingpalacios.com. W. C. Williams Building shared a post — feeling amazed at W. C. Williams Building. W. C. Williams Building is feeling impressed at W. C. Williams Building. W. C. Williams Building shared a post — feeling proud at W. C. Williams Building. The latest Texas Treasure Business, El Fenix Mexican Restaurant, started in Dallas. #texashistory #texastreasurebusiness #texashistoricalcommission #williamsbuildingpalacios Omega Productions Texas Historical CommissionMiguel Martinez was born in 1890 in Nuevo León, Mexico. 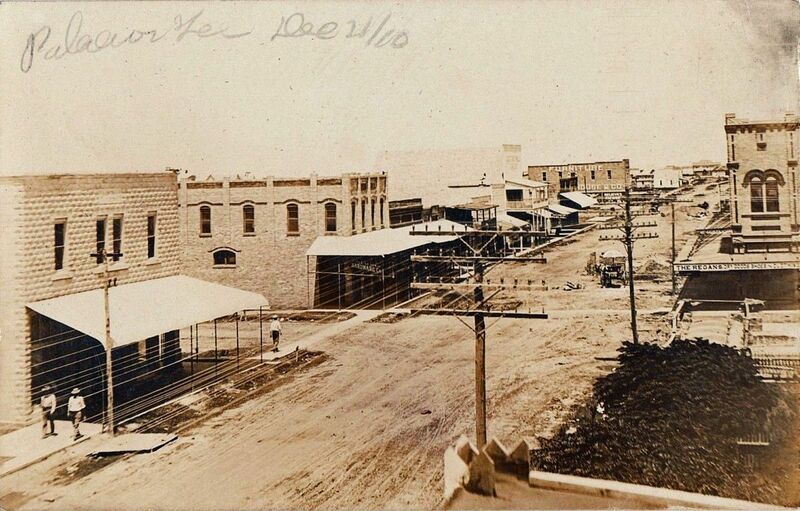 In 1911, a year after the Mexican Revolution broke out, Martinez left Mexico for Dallas, where he found work as a laborer with the Dallas Railway and Terminal Company and as a dishwasher at the Oriental Hotel. He met Faustina Porras, also a Mexican immigrant, in Dallas, and they were married in 1915. They raised eight children. In 1918, they opened the Martinez Cafe, a one-room eatery on McKinney Street in "Little Mexico," the Mexican barrio. 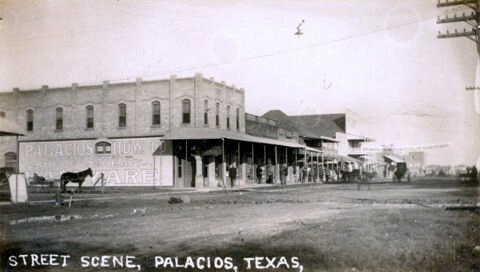 With the founding of the restaurant, they were among the first Texas Mexican entrepreneurs in the city. Initially, the cafe served only American dishes, but later Martinez, on the advice of friends, began offering Mexican cuisine. One account notes that Martinez initiated the restaurant's specialization in Mexican food with an enchilada recipe from Mexico and a chili recipe from Texas, thus becoming the original pioneer of Tex-Mex food in Dallas. In 1922, he enlarged the cafe, renamed it El Fenix Mexican Restaurant, and changed its menu to an exclusively Mexican one. He also painted the restaurant bright red, green, and yellow—El Fenix's trademark colors. In 2015, El Fenix was recognized with our Texas Treasure Business Award. By 1992, Martinez's descendants had expanded the chain of restaurants in Texas. They also began selling El Fenix hot sauce in supermarkets throughout the state. Originally, 31 of these 165-foot-high towers were bought from the Fort Wayne (Indiana) Electric Company, and although there were concerns about crops and animals being adversely affected by the artificial light, people were duly impressed by how well the carbon arc lights illuminated city streets. 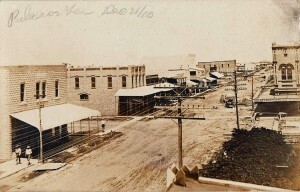 The W. C. Williams Building, built in 1909, has been a cornerstone and anchor to the commercial and cultural life of Palacios and Matagorda County Texas for 109 years. In February 2015, the structure was designated as a Recorded Texas Historic Landmark (RTHL) by the Texas Historical Commission. In July 2016, the RTHL Marker was dedicated by the Matagorda County Historical Commission and the Texas Historical Commission.